“THE END OF ALL THINGS,” Part One RYAN OTTLEY returns as “THE END OF ALL THINGS” begins. 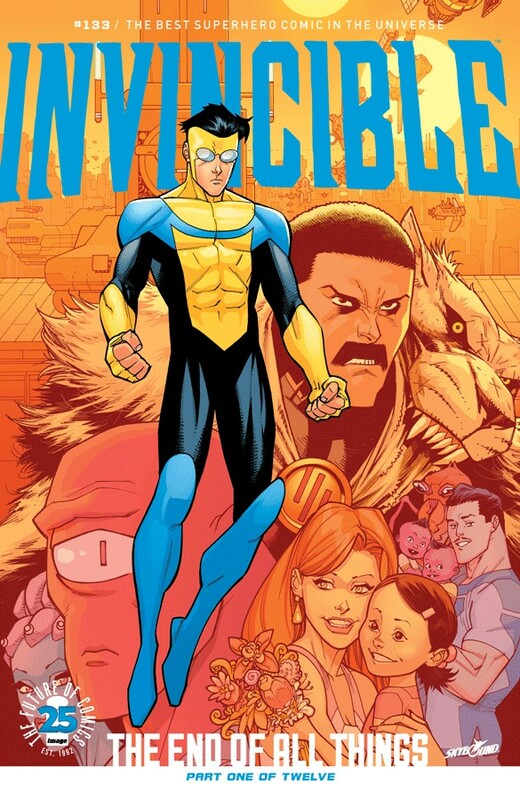 This 12-part mega-story will touch every corner of the INVINCIBLE universe, and when it’s over...IT’S OVER. Every single story for the past 13 years has been leading up to this! ALSO, HOLY CRAP! THIS ISSUE IS 25¢ CENTS TO CELEBRATE THE 25th ANNIVERSARY OF IMAGE COMICS!